English goalkeeper who made a name for himself while playing for Everton, Stoke City and Sheffield United. He was a runner-up in Football League Championship with Stoke City in 2007-08. He was born in South Shields, England, where he grew up a Sunderland supporter. 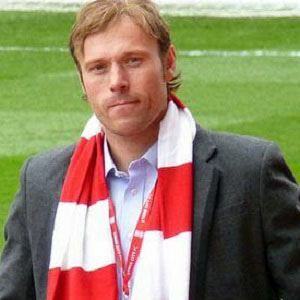 He was named Stoke City Player of the Season by the club's players for the 2004-05 season. He was married to radio presenter Claire Simonsen until 2014. He has played alongside Tunisian defender Bilel Mohsni at Rangers FC.